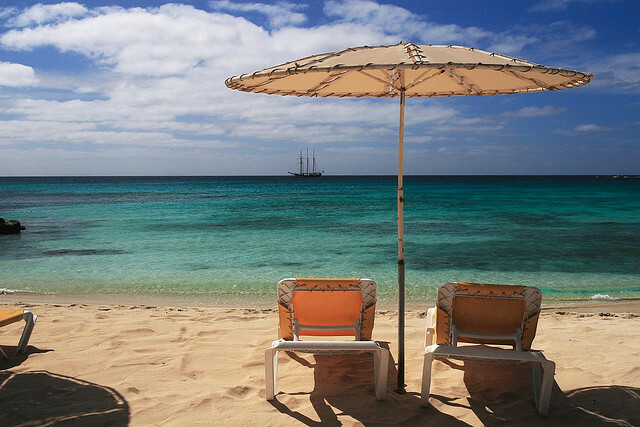 Cape Verde holiday packages transport visitors to a tropical paradise consisting of ten islands off the west coast of Africa. With some of the most stunning beaches you’ll find in this world, Cape Verde is a favourite destination for winter getaways, honeymoons and family holidays. But for all their beauty, the beaches aren’t all the same. One of the most captivating things about these islands is the diversity it has to offer – so check out our favourite spots for idling away the time on Cape Verde’s gorgeous coast. Of course you’ll find the golden sands and clear blue waters you expect from a tropical paradise – something Cape Verde holidays have in abundance. Boa Vista is one of the region’s most idyllic islands and Santa Monica offers up the perfect view of paradise. Santa Monica is the ideal beach for a couple’s getaway, with romantic strolls along its golden sands and the gentle sound of waves breaking beside you. And it’s not just the tourists who enjoy a walk along the shore – so don’t be shy if the odd guest decides to join you. 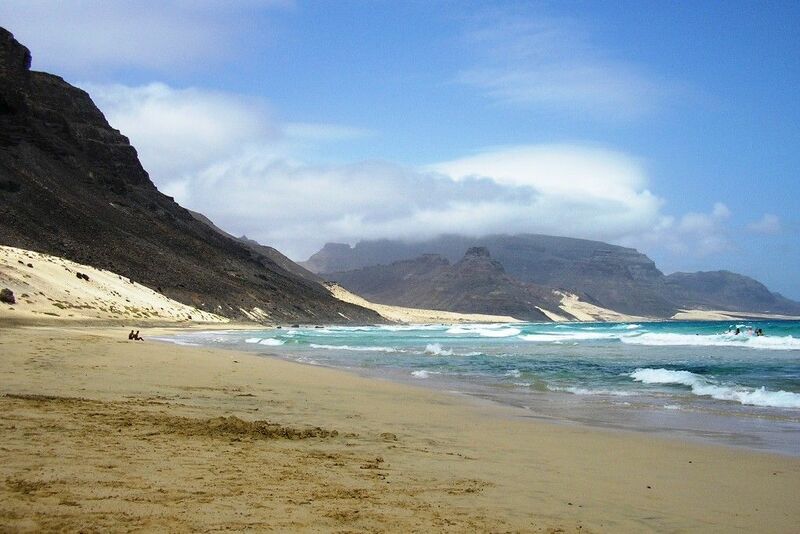 Santiago is a more rustic island along the southern stretch of Cape Verde, and Tarrafal enjoys a wonderful mix of calm beaches surrounded by rocky landscape and green countryside. If you like to break up your days on the beach with a spot of hiking then this is a good place to start – nothing too strenuous, but plenty of open space to explore. 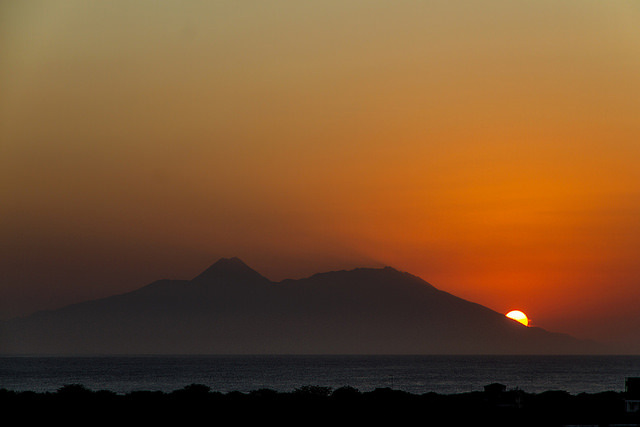 Cape Verde’s beaches wrap up a wonderful day of sun in style – and Tarrafal comes up with this incredible view of sundown from the other side of Pico de Fogo. 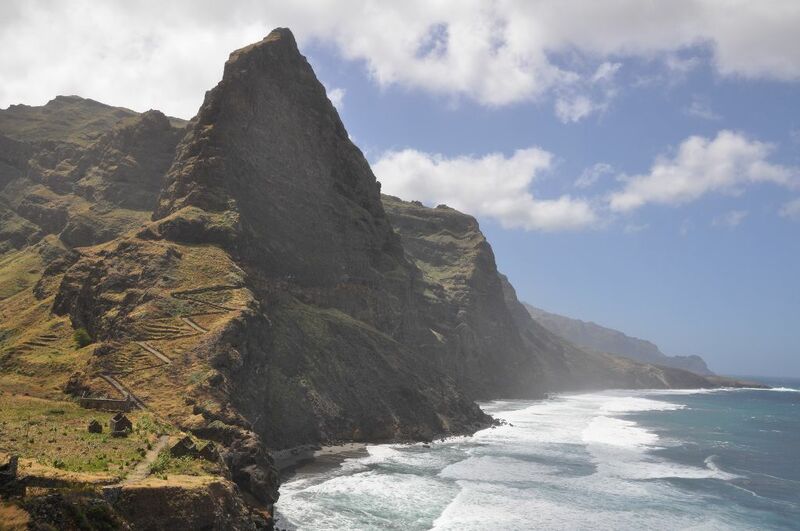 Sao Vicente is one of Cape Verde’s extinct volcanic islands, and it offers up some stunning coastlines as a result. Perfect sand and clear waters start to look the same after a while, but the beach of Calhau is a distinctive sight you won’t forget in a hurry. This rugged shore parallels rustic villages and the extinct volcanic crater of Viana. Its choppier waters are perfect for surf and other water sports, while the surrounding scenery and heavier tides make this a great place to sit back and admire mother nature. 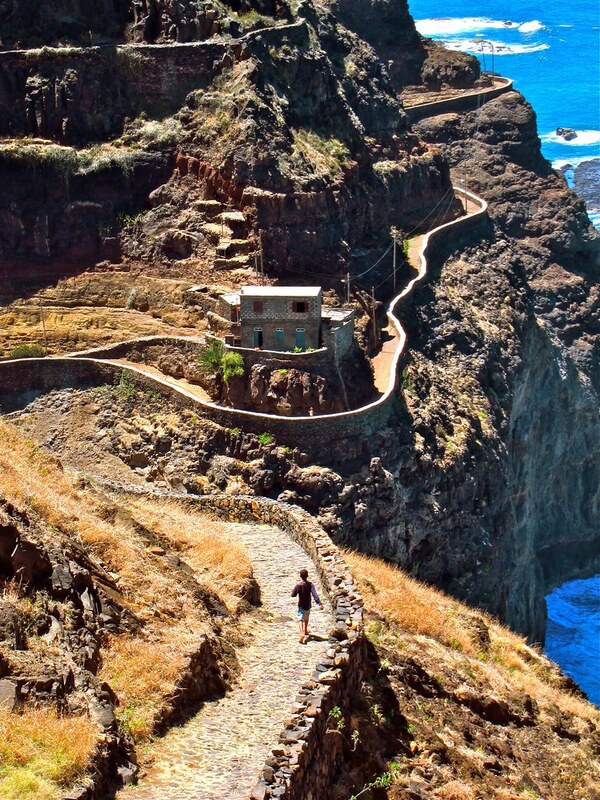 If you want to see the most imposing view of Cape Verde’s coast, then Santa Antao is the island to visit. 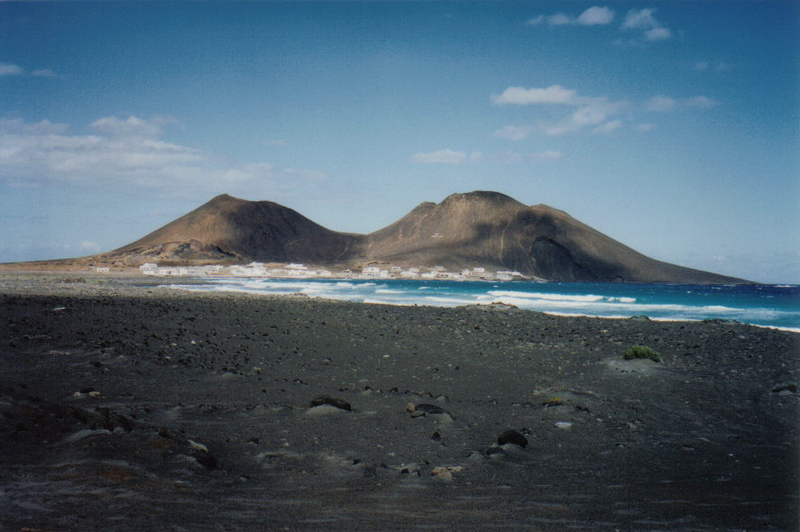 Ponta de Sol in particular comes with some fantastic hiking spots and incredible views to reward your efforts. 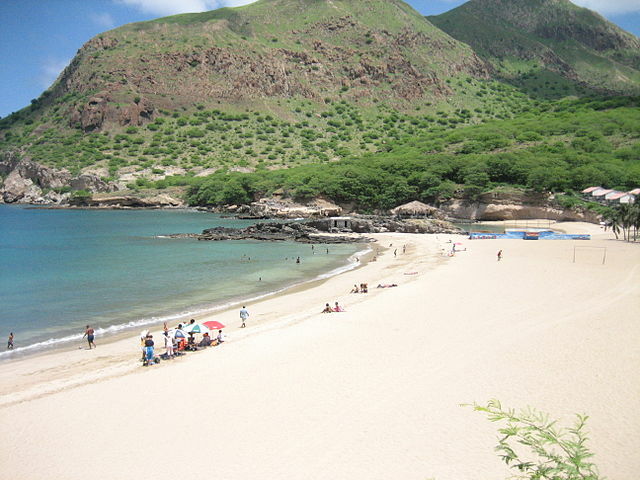 While Corvo is another great place on the island to wander the rocky coasts of Sao Vicente. You’ll capture some of your best holiday snaps from here – as well as some first class views of the more dramatic side to Cape Verde’s amazing beaches. After all that hiking, you deserve a rest – and the fishing town of Santa Maria has a wonderful blend of calm beaches and lively atmosphere of an evening. The beach of Santa Maria is a fine place to unwind and watch the fishing boats slowly come and go – and you can head in land of an evening for a spot to eat and some music at a local bar. It would be a waste to come to these islands and miss out on the chance to see the fantastic marine life that populates its shores. 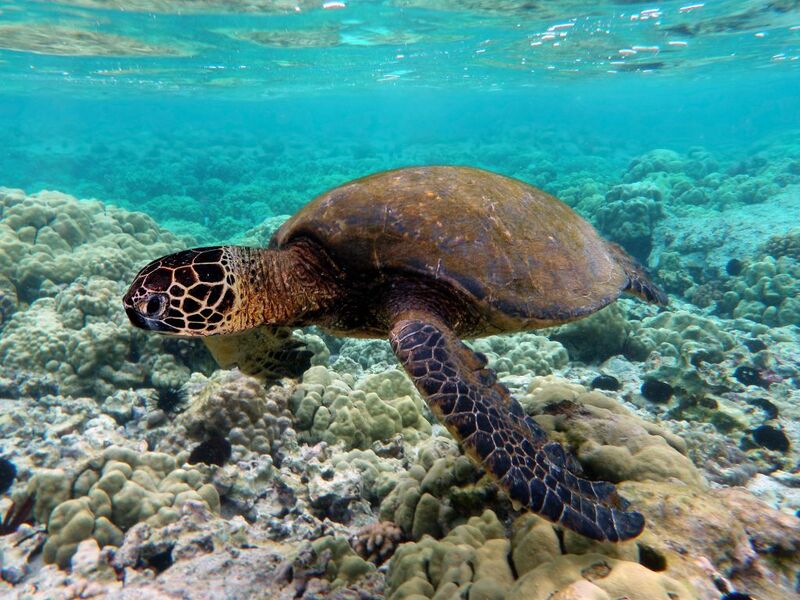 Cape Verde is one of the top ten snorkelling locations in the world with beautiful corals, sea turtles and tropical fish swimming its waters. There’s a Cape Verdean beach for everyone, so consider making this the year you explore these warm and welcoming islands for yourself!